During the SXSW panel for Sonic the Hedgehog, Sega's Takashi Iizuka confirmed at the very end that the next Sonic game is in development. Check out a look at the new parts, paint, and decal options, as well as some new footage from the game. The series will be directed by Tyson Hesse and Neko Productions, who produced the well-received Sonic Mania Adventures web series. SEGA has released another upbeat anthem for Team Sonic Racing by Sonic Series Composer, Jun Senoue with Japanese electronic music artist, TORIENA. By earning in-game credits, players can unlock parts in the garage for the front of their auto, the rear, or the wheels, which affect the vehicle's performance and handling. We'll keep our ear to the ground for any further Team Sonic Racing announcements between now and May, of course. Set to the racer's "Bingo Party" map, this song is what winning sounds like. But it looks like Sega understands that one of fans favorite pastimes is pretending they are a designer on Pimp My Ride, because it went above and beyond for Team Sonic Racing. 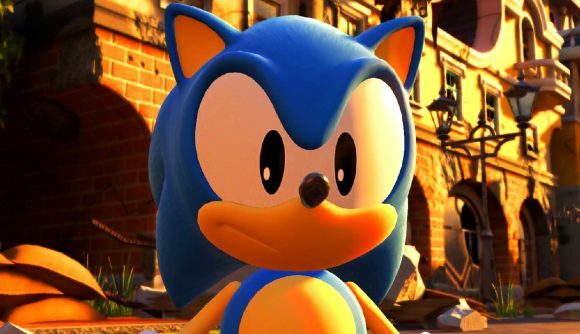 To stay current on Sonic the Hedgehog news, follow Sonic on Twitter andInstagram, like him onFacebook, and subscribe to the Twitch channel and the YouTube channel. SEGA had plenty to show off at SXSW, which may just be one of the weirdest venues ever for video game news...or the cleverest.